Aver contains 750 glyphs total, including many Greek and Cyrillic characters. 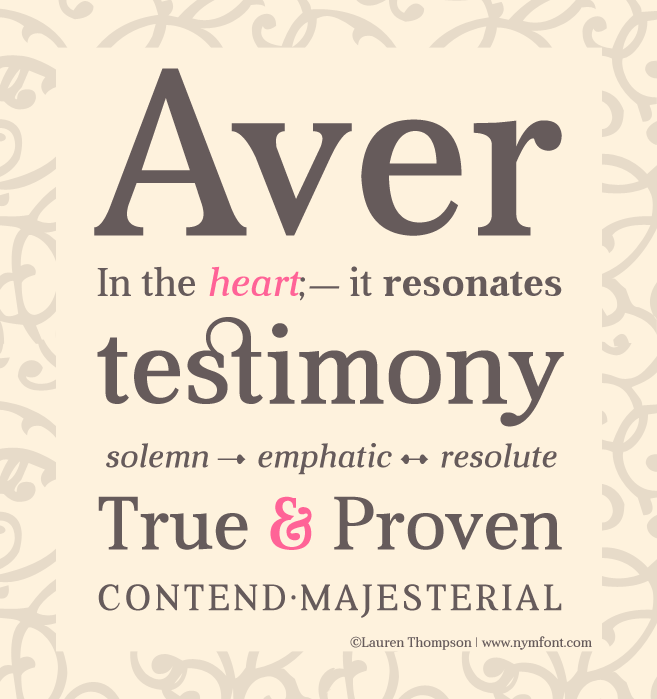 Aver is free for personal use, donate to use commercially. *Made some corrections and additions to Cyrillic, Margot Fette has also simply become Margot Bold.